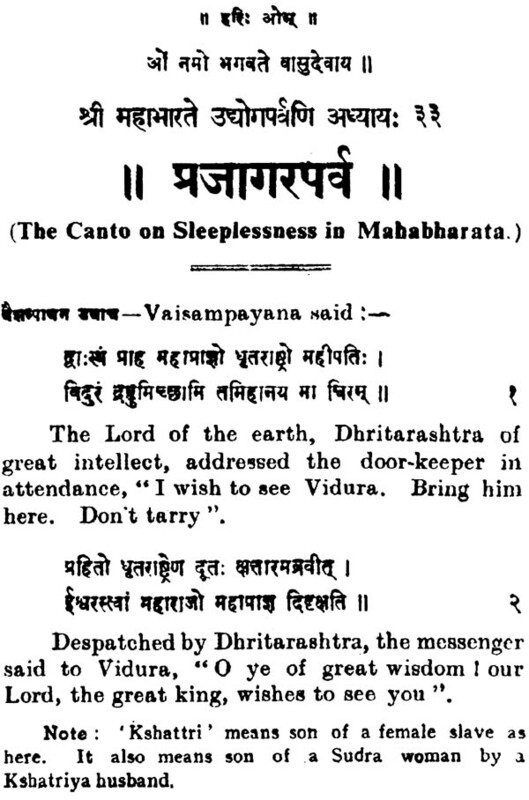 Though Vidura figures in several contexts in Mahabharata, he is well known as the expounder of that science that goes by the name of Vidura Gita. 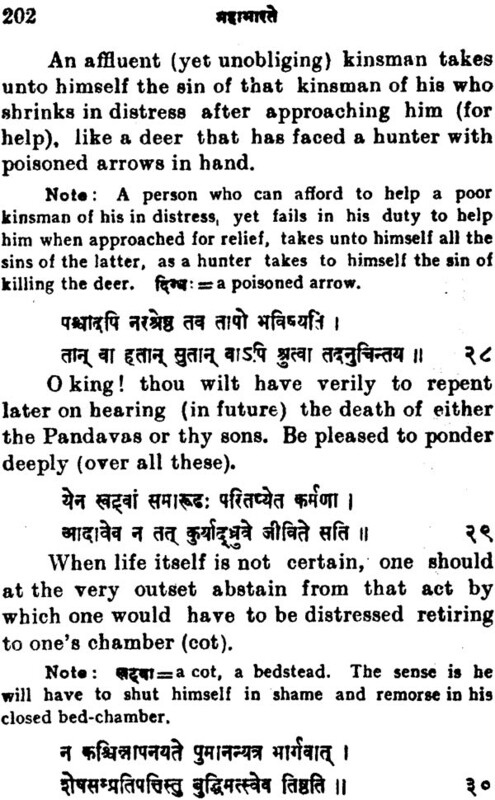 In the first chapter he diagnoses the situation and points out the cause of Dhritarashtra’s anxiety and restlessness to his want of judgement in leaving the administration of the kingdom in the hands of worthless counselors like Duryodhana, Soubala, Karna, Dussasan and other of that like. In the second chapter. 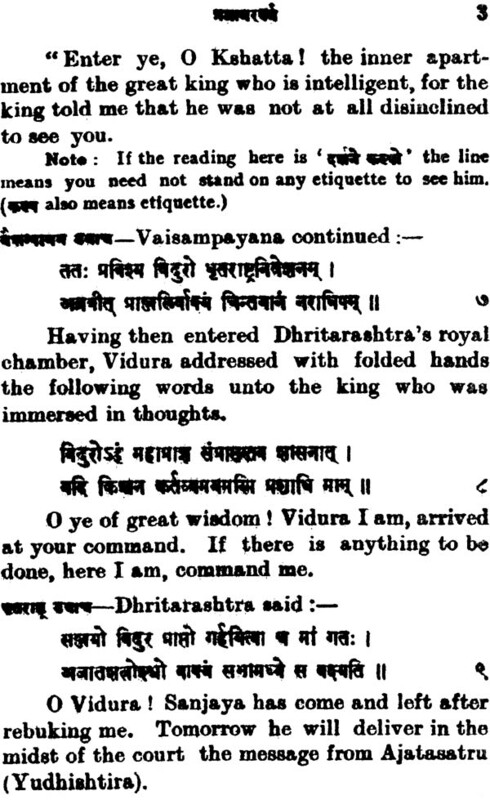 Vidura described how the king should be well equipped with noble qualities viz, control of the senses and control of speech. 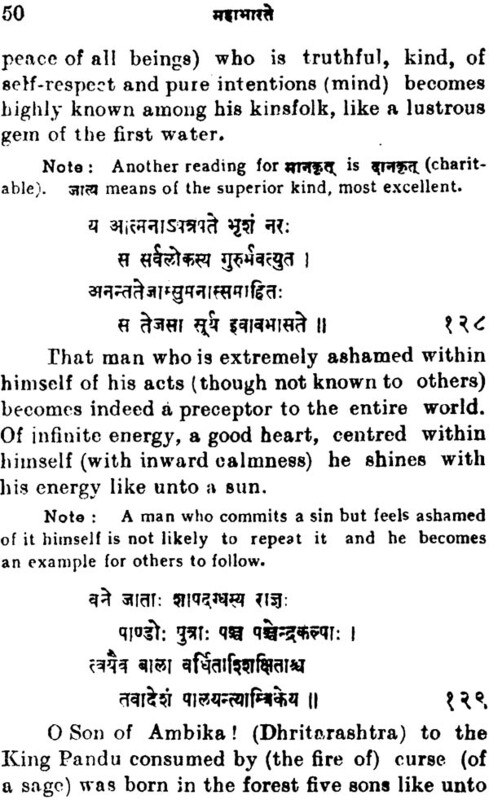 In the third chapter he illustrates by an episode of Virochana and Sudhanvan the superiority of good conduct, good behaviour and nobility of character. 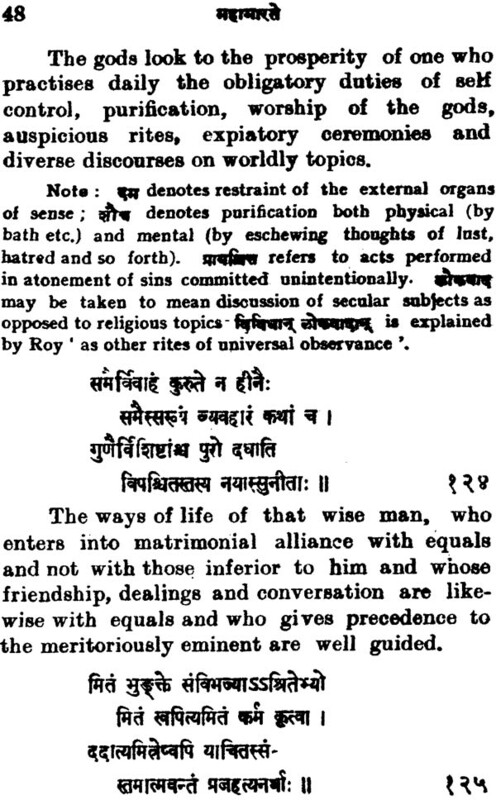 In the fourth chapter narrating the discourse between the sage Atreya and the sadhyas, he stresses the importance of soft words, perseverance, the nature of noble families and of true friends, the importance of union and strict adherence of virtue. 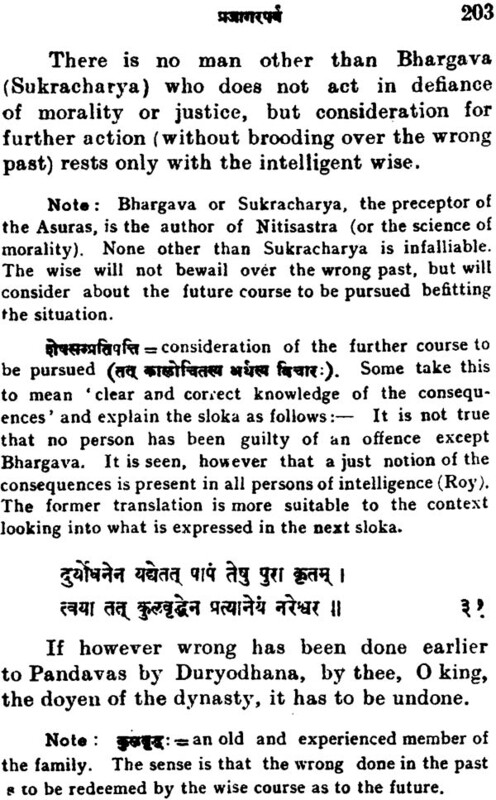 In the fifth chapter, after describing the seventeen types of persons engaged in vain efforts, he answers Dhritarashtra’s question why all people do not live up to the full allotted period of hundred years. In the sixth chapter beginning with the necessity of respect for elders, he described the power and the greatness of intelligence. 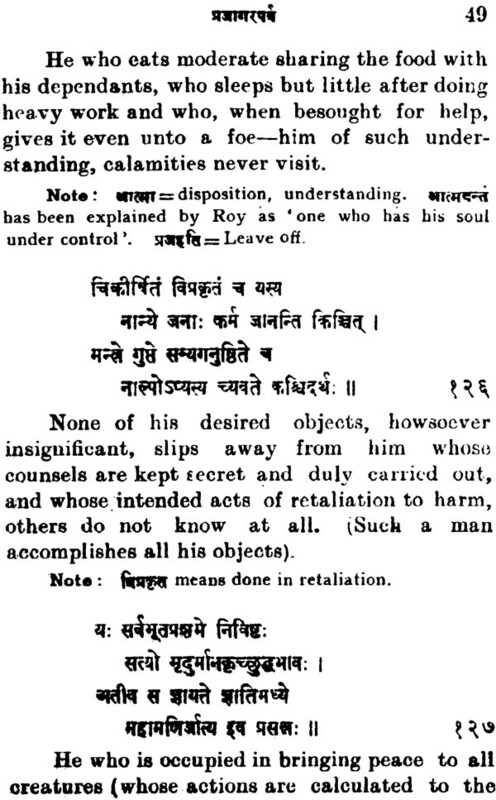 In the seventh chapter though Dhritarashtra is seen to approve of all advice tendered by Vidura, he still persists in keeping his son Duryodhana with him, resigning himself to fate Vidura advises him again to give up the company of his evil counsellers, to cherish love towards his kith and kin. In fact it is a mine of civil and moral wisdom. 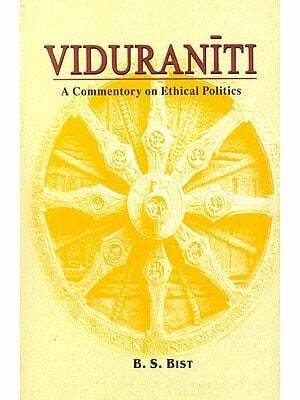 Vidura Gita is one of universal appeal without the bias of any sectarian outlook and will remain so for all time, since it is centered on the eternal fundamentals of duties and obligations, individual and social. Dr. R. Leela Devi is an eminent writer who writes in English and Malayalam. A scholar of many languages, historian, critic, novelist translator and educationist, she has made a mark in all fields. She has to her credit more than hundred and fifty books. Her books cover vast field, science and literary encyclopedias, dictionaries, science history translation of four Vedas, six Sastras, ten Upanishads, Brahmana, Puranas, Maha Bharata, Valmiki Ramayana etc. she is an authority on Hindu Philosophy and Mythology, After Sayana, no one has devoted so much effort to this Branches. Over and above these she has studied History, Politics human problems and science with keen interest. This book is an evidence of her vast knowledge in all these fields. Her latest Malayalam book of Physics gives the latest discoveries in the field. Dr. Leela Devi is one of very few intellectuals women of this period in India. Sri Mahabharata, an important section of which is the present work, is one of the two great epics of India, nay, the greatest in the world. it is called the Fifth Veda Since it is an illustrative exposition of the fundamental scriptural truths for the benefit of all, even the ordinary man and woman who have not the necessary qualifications to take up to the study of the Vedas and the Upanishads. It is the treasure house of ancient wisdom and Hindu culture a perennial fountain to draw upon for the craving spiritual spirant the facile poet, the exquisite artist and the ordinary folk wallowing in the mud of worldly misery. It is a mine of wisdom, civil, moral, social, religious and political. ‘It has moulded the heart and mind of an entire race in a way no other epic in the world has done’. Rightly has it been observed by our First Prime Minister, Sri Jawharilal Nehru, that the two magniflcent epics of Ramayana and Mahabharata are ‘India’s pride and treasure’. 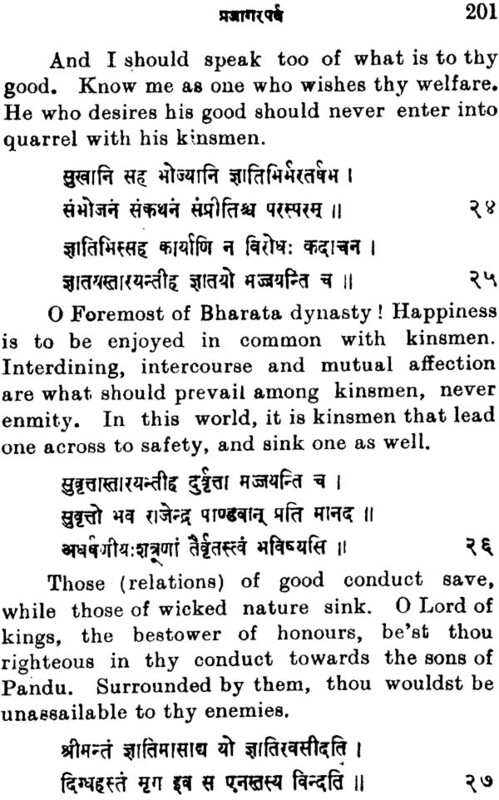 Every prominent vernacular language in India has a version of this original Sanskrit work which ranks foremost and exercises a like influence on their literature. It has captivated the minds of nations for and wide and has been translated into almost all prominent language. The famous orientalist, the late Prof. Max Muller, in one of his letters to the late P.C. Roy, said “I expect the time will come when every educated native will be as proud of his Mahabharata and Ramayana as Germans are of their Nibelunge, and Greeks, even modern Greeks of their Homer”.